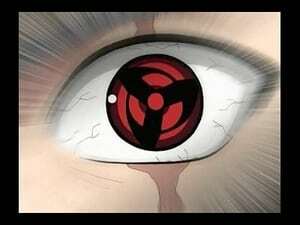 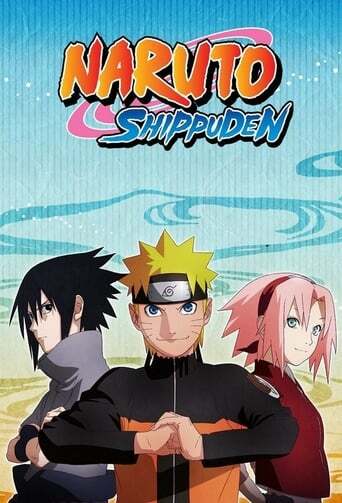 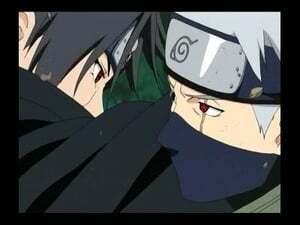 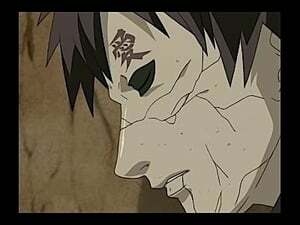 Naruto’s and Sakura’s combined skills force Kakashi to use his Sharingan right off the bat. 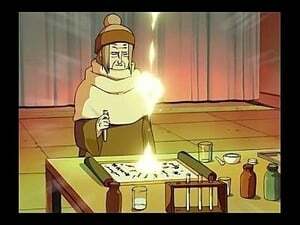 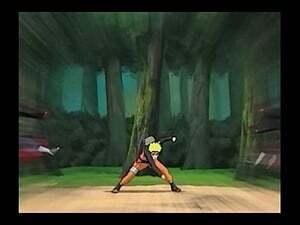 Naruto masterfully unleashes his jutsu one after another. 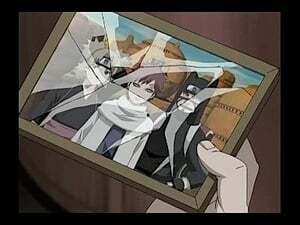 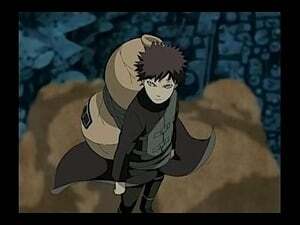 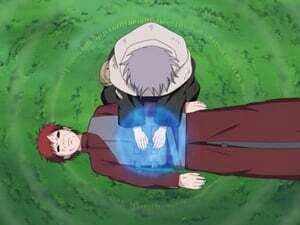 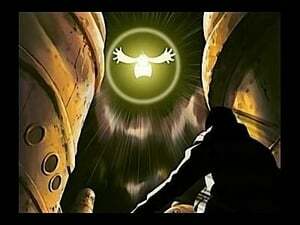 Gaara, his strength completely exhausted, is whisked away by Deidara. 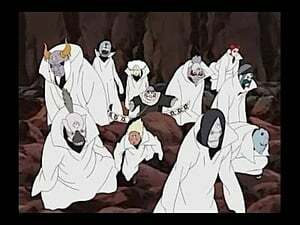 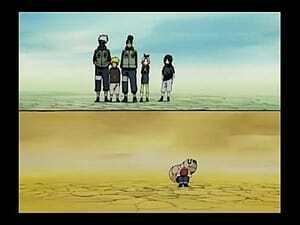 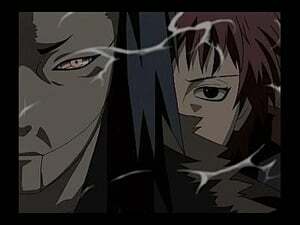 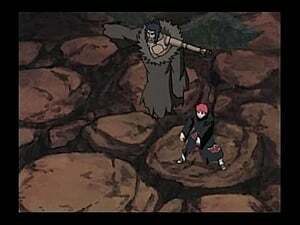 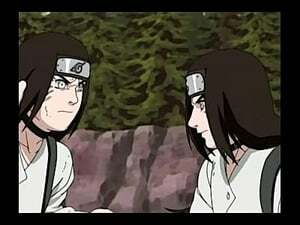 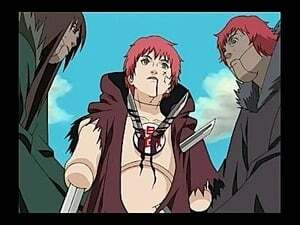 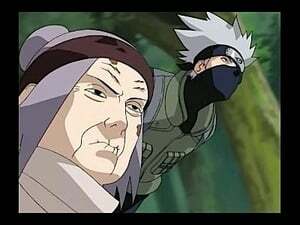 Kankuro ignores Baki’s efforts to stop him and immediately sets out in pursuit with a platoon to rescue Gaara. 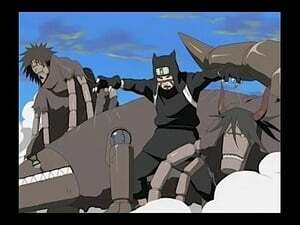 Episode 18 - Charge Tactic! 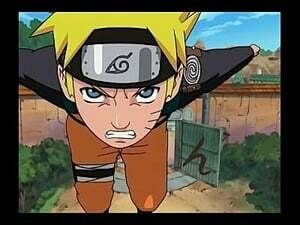 Button Hook Entry!! 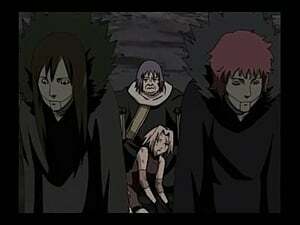 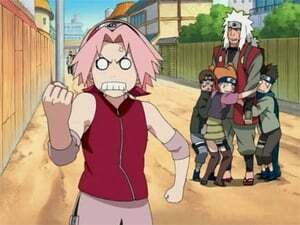 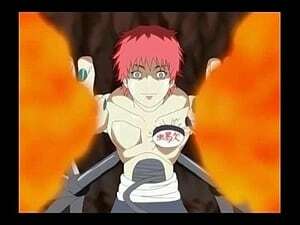 Sakura is caught by Sasori’s tactic and surrounded by a poison cloud. 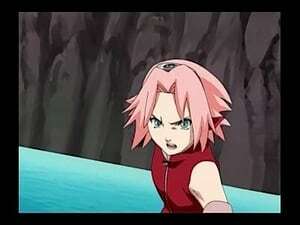 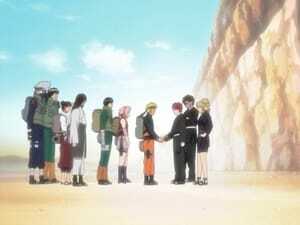 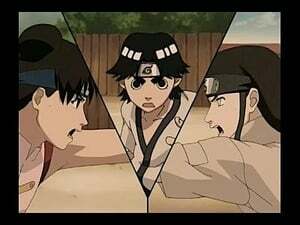 Sakura counters the Iron Sand attack of the Third Kazekage puppet with superhuman strength.